This should be compulsory. The amount of congestion caused by drivers in the middle lane overtaking nothing but air must cost the economy millions of pounds each year and cause loads of accidents. I do a lot of motorway driving and it irritates the life out of me. Do they do one for drifting as well? This should be compulsory. The amount of congestion caused by drivers in … This should be compulsory. The amount of congestion caused by drivers in the middle lane overtaking nothing but air must cost the economy millions of pounds each year and cause loads of accidents. I do a lot of motorway driving and it irritates the life out of me. ​i may be missing something, but if overtaking nothing but air,would that not indicate a clear Road and no congestion? Just passed my test yesterday, great find! Was a little scared of trying motorways! I'm sorry, with this education we could learn to disregard the speed limit and move in a lane to let the queue of traffic determined to box one in behind the next lorry continue their congested procession at rakish 71mph. you just ring the number at the bottom of the page? asking because I couldn't see a direct message for this free motorway course. They should do one specifically for Audi and BMW drivers. Teaching them where the indicators are when switching lanes, or for those that have actually mastered where they are, the art of signalling before actually moving the vehicle. I'm sorry, with this education we could learn to disregard the speed … I'm sorry, with this education we could learn to disregard the speed limit and move in a lane to let the queue of traffic determined to box one in behind the next lorry continue their congested procession at rakish 71mph. No simply use the left lane when the road ahead is clear. As stated in rule 264 of the Highway code! Nothing to do with speed limits. Right hand lanes on the motorway are for overtaking. ​i may be missing something, but if overtaking nothing but air,would that … ​i may be missing something, but if overtaking nothing but air,would that not indicate a clear Road and no congestion? Just passed my test yesterday, great find! Was a little scared of trying … Just passed my test yesterday, great find! Was a little scared of trying motorways! Safest place to drive. Only 3% of accidents happen on the motorway. The majority happen at junctions and roundabouts. Your instructor is a self-employed franchisee ("Your Instructor") of Automobile Association Developments Limited. Eligibility for selection for this free course is assessed by AA Driving School based upon the information provided and includes criteria such as Your training needs. 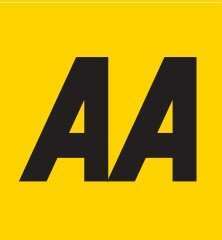 Eligibility for this offer is also based upon You submitting all Your contact details including name, address, phone number and email address and that by undertaking this course You agree that AA Driving School can send You a follow-up questionnaire at three-, six- and twelve-monthly intervals within the twelve months following completion of the course. Safest place to drive. Only 3% of accidents happen on the motorway. The … Safest place to drive. Only 3% of accidents happen on the motorway. The majority happen at junctions and roundabouts. It's mainly the idea of going that fast and with a little swerve, I could have an accident. I imagine if I get used it, after a few hours, I should be fine. This is a good way of doing that in a more controlled environment, which is great! Love to give it a go - live in Rural Norfolk and it takes nearly 2 hours drive to get to a motorway! Eligibility for selection for this free course is assessed by AA Driving School based upon the information provided and includes criteria such as Your training needs. Eligibility for this offer is also based upon You submitting all Your contact details including name, address, phone number and email address and that by undertaking this course You agree that AA Driving School can send You a follow-up questionnaire at three-, six- and twelve-monthly intervals within the twelve months following completion of the course. This will be to measure how well You think You have improved Your driving skills and fuel economy. The results of this survey may be used for marketing and promotion purposes but the identity of all participants will remain anonymous. The AA Driving School will aim to contact successful applicants within 10 working days of Your initial application, to confirm if You have been successful. Can I do this while being on a Provisional License? No, you can't drive on a Motorway with a Provisional licence. Not allowed to drive on motorways without a full driving licence, I'm afraid. Thanks for this OP, hopefully will get onto it and give me more confidence on motorways in future! Can provisional license holder get this offer who already taking lesson by AA. ​i may be missing something (Such as capitalisation? ), but if overtaking n … ​i may be missing something (Such as capitalisation? ), but if overtaking nothing but air,would that not indicate a clear Road and no congestion? Right hand lane becomes congested by people pulling out to overtake ****. People sat at work when **** caused all of this get home an hour later than normal due to further congestion. A lot of the "older" generation (and I'm in that category) were always advised to use the middle land for travelling on the motorway, as the inner lane was generally full of trucks and it gives you more options of where to go if things go wrong. People do need some motorway experience though, it would be quite nice if "they" (BMW drivers) used their mirrors before pulling out into Lane 3 when everybody else suddenly moves into Lane 2, there might be a reason for it. Can provisional license holder get this offer who already taking lesson … Can provisional license holder get this offer who already taking lesson by AA. as above mentioned no provisional license holder is allowed on any motorway, your AA instructor won't take you on motorway neither any other until you pass your full driving licence. Force your way onto the motorway without indicating to other motorists as you join then sit in the middle lane for your entire journey whilst doing no more than 50mph...........just like everyone else . It seems you have to open up your details to marketing, though, unless you write to the Data Protection Office at AA to opt out. Is there an easier way out of this? Can you book over the phone without giving consent? They should do one specifically for Audi and BMW drivers. Teaching them … They should do one specifically for Audi and BMW drivers. Teaching them where the indicators are when switching lanes, or for those that have actually mastered where they are, the art of signalling before actually moving the vehicle. Aherm.......I drive and Audi and always use the Mirror Signal Manoeuvre, am courteous enough to not hog lanes by moving over to the left if its safe to do so. But yes I do notice many people manoeuvre, signal, mirror. Self drive cars are the way forward. I just had a devious thought I need to get down to London, do you think I could book a lesson and then terminate in central London somewhere. Heat OP! Deal posting newbie! This is Savyshopper85 first deal post. Help out by leaving a posting tip or just to show your appreciation for their contribution.